Having used yoga as a part of my post stroke rehabilitation, then having become a certified yoga teacher, I learned to adapt yoga poses to my ability. After formal yoga training, I sought a way to help others with what I had learned about recovery. I fell into the the fastest fitness trend. Stretching; both dynamic and static, meditation and mindfulness practice work together to increase range of motion and flexibility, increasing a person's activities of everyday living and overall quality of life. SELF has a article on the very topic of the mind muscle connection . In the classes I lead, we start with meditation and relaxation during that time, I guide the senior participants to set their intent for the class and to ask their body to work properly to carry out those plans. We know that what we think and the words heard during recovery enhance the process. SELF also has a article on the explosions of stretch studios. This new trend is like a yoga studio used for the purpose of stretching instruction or physical assistance. When I found out this trend was so big, I was already doing this instruction with my senior clients. We have seen vast improvement in as little as two months. I remind my senior clients that to gain a greater level of fitness doesn't require a large gym, heavy or expensive equipment. Isometric , static movements produce wonderful results. As a reader of YMD News you have learned that elevated fibrinogen, hsCRP, a CT heart scan and homocysteine are among the many known risk factors for progressive heart disease. It now turns out that there is a blood test that is an even a better indicator than any of these, especially if they are all normal. The test is simple and inexpensive and readily available and reliably shows the level of cardiovascular risk you are at. For one, this test can show if you need bypass surgery or an implantable defibrillator, and whether even without any symptoms, if you are headed for heart failure. What is so sad is even the most prestigious medical facilities like Cleveland, Mayo, Johns Hopkins, Harvard, etc. as well as from practitioners who claim to practice alternative, state-of-the-art or advanced medicine rarely if ever check this life-saving test. Levels over 500 of BNP can predict risk of heart attack 5-8-fold within the next four years. It stands for brain natriuretic peptide, mainly because it was first discovered in the brain over 10 years ago. It is actually a hormone made in the ventricles of the heart which is the main pumping muscle of the heart. It is a well-established marker for the diagnosis of heart failure and a predictor of death in people who have stable coronary disease with no symptoms and are told that they are "doing just fine"
What is most important is there are no drugs that can fix it, only nutrients. Research shows that people with a level of over 400 are eight times more likely to die in the next 1-5 years than folks with levels under 100 ng/liter. As noted above, the test is commonly used to diagnose heart failure, however, it turns out BNP can show if the heart is suffering from ischemia (not enough oxygen delivered to the heart muscle) even though the patient may not be experiencing angina or chest pain or arrhythmia or have any signs of it on EKG, echocardiogram, etc. No other test comes this close to being as useful a crystal ball since it predicts long and short-term death, independent of other conventional test. Additional studies show that having a level just over 80 pg/mL of BNP can raise the incidence of death in the next year 5-fold. And others have confirmed that levels over 500 of BNP can predict risk of heart attack 5-8-fold within the next four years. And rememer this is independent of any other studies, x-rays or blood tests. Remember, these are in people who think they are "stable" and have been told by their cardiologist that they are "doing just fine". Even though this crystal ball test has been known for quite a while, cardiologists in general do not use it because (1) first there is no drug to correct it. And the (2) second reason they don't use it is because they are not trained in the molecular biochemistry of healing/repairing what is causing the problem in the first place. Question: What do you need in your life? February 18th marked the end of Health Coach Week. 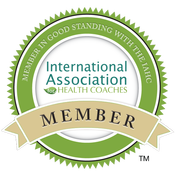 It's was founded for awareness and advocacy of what Health Coaches do and why you probably need one in your life. So with this being said, I want to provide you with a cautionary tale. 2017 provided me with many health advocacy opportunities. On a personal level, I spent the night at a long time friend's apartment while visiting Illinois. Besides the fact that I still enjoyed the company of this person, that night, I gathered that he needed to have a sleep study completed and probably needed to sleep with a C-pap. In the weeks and months to follow, the study was not done. It was issues with scheduling, a shady conversation with the doctor's nurse, and so on and so on. Granted, all those reason may have been legitimate, but from my Health Warrior mind, I was not trying to hear anything except the study was complete. So after several months, I got this message. "Baby, I want to thank you. Thank you for staying on my case about that test. I really did not know how important it was. I just got my results and the doctor said that had I not gotten the test done, I could have died, I mean, I have really bad sleep apnea and it could have killed me. So again, thank you from the bottom of my heart. I love you and will call you again tomorrow." When tomorrow came, I got that call and immediately went into Warrior mode again. I have a long mental list of questions about sleep studies and subsequent results. What did the test results show? How many times in an hour had he stop breathing? How long did it take from him to enter rim? And so on. Of course he did not have those answers, so I went to a question I though would be simpler. "When are you scheduled to get your C-pap set up? He said he was waiting for the nurse. I said to do what. Call him, he said. "Oh to tell you when and where to go get your mask fitted, and by the way, what type of mask is the doctor recommending". At the point, I think I heard crickets. He had no idea. Of course, I provided him with my mini, "you gotta advocate for yourself", speech. Some will be celebrating Thanksgiving in a few weeks. Yet, if you like the flavors, but choose to not participate in all that cooking and cleaning, here is a meal that will satisfy your fall taste bids. Thanks to the U. S. Apple Association for this tasty Apple Salsa recipe. Top this concoction of seasonal goodies atop a turkey burger and enjoy new tradition twist. Check out this easy recipe. 4 (2-ounce) hamburger buns, toasted or broad leaf lettuce. To prepare salsa: Combine sugar, cider vinegar, and lemon juice in a medium saucepan and bring to a boil. Add half of the chopped apples stirring well; cover and reduce heat. Cook gently until apples are soft and mash with a potato masher until almost smooth. Add cranberry sauce to apple mixture and let cool slightly. Add the remaining apples, scallions, jalapenos, and cilantro if desired. Serve with Apple-Turkey Burgers. Refrigerate any remaining salsa for up to 3 days. To prepare burgers: Combine turkey, apple, salt, pepper, and cinnamon in a medium bowl. Divide turkey mixture into 4 equal portions, shaping each into a patty. Lightly coat a large skillet or grill pan with cooking spray and place over medium-high heat. Cook turkey burgers 6 to 8 minutes per side or until done. Serve on toasted buns or in a lettuce wrap with salsa.